This morning when I logged into my primary Gmail account, I received a warning message stating that I am "almost out of space". I have used up 7150 MB of 7509 MB or 95% of my allocated space. My Gmail account almost out of space. I am using 7150 MB of 7509 MB or 95% of my allocated space. 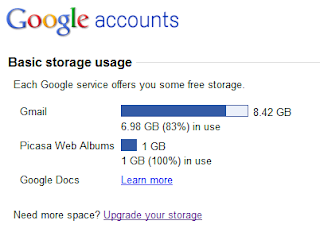 According to my Google Accounts info, my storage were pretty much used up. 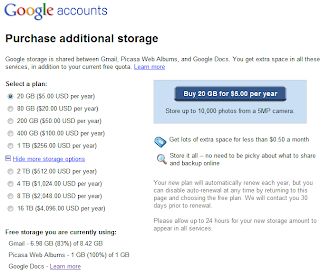 My Google Account storage status. I do not know why Gmail is showing 8.42 GB instead of 7509 MB. Any ideas? In the end, I transferred ownership of some of my blogs to a new Gmail account and thus a new Picasa Web Album account with a new 1GB quota... :-) From then on, I only used Picasa Web for photos and all my blog videos were uploaded to YouTube. 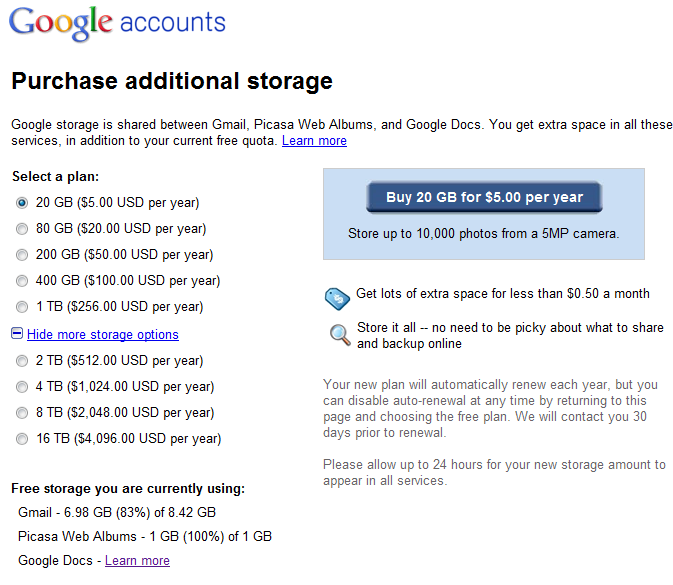 In any case, I was offered to purchase additional storage by Google. I must say that the plans were pretty good. Unfortunately, I am a frugal elderly Malaysian Chinese and I am duty bound not to pay, unless I totally have no other options... LOL. But you know what, Google even offered to show me how to reduce my email storage without having to subscribe to a new plan... and I intend to follow their tips to the letter... LOL. This morning, I started by deleting all my newsletter subscriptions. By doing just that, I managed to reduce the email storage to a respectable 6912 MB or 92% of my 7509 MB. I have not begun deleting all my emails with big attachments yet. Well, I will not move to this step until I have exhausted all other avenues first. 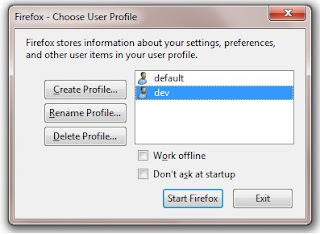 Since I started using Gmail back in 2004, I had stopped using any desktop email client (Outlook Express) and my Yahoo! Webmail account. The oldest email in my Gmail Inbox was dated Thu, Jul 1, 2004 at 1:03 PM (GMT +8). And the first "conversation" I had was with my colleague, George. The conversation showed how excited we were to use Gmail and how impressed we were with the way Google had disrupted email... LOL. First Gmail conversation with George. It has been more than 6 years since I started using Gmail. It was and is a good ride. Now I have 6 Gmail accounts and will probably get more when the need arises... LOL. Thanks Google!